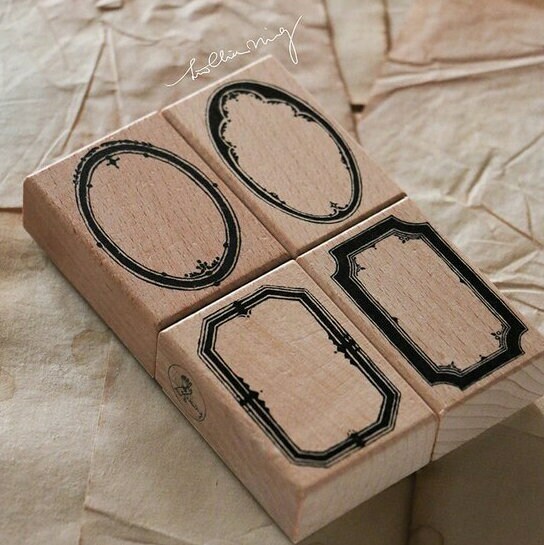 Labels design stamp set by Taiwanese Artist Lin Chia Ning. Use to create your own labels or use as a frame to decorate journals, snail mail, packages, gift tags and more, these labels are so beautifully detailed with a vintage touch. This set is for 2 rectangular stamps measuring 55mm x 35mm and 2 measuring 55mm x 40mm.